8Bitdo AP40 Game Controller Inspired by Apple ][ - Fulfilled! 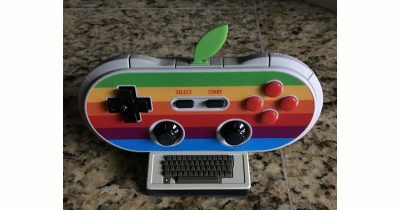 Last September, Jeff Gamet wrote up an Apple themed game controller by 8Bitdo, makers of a variety of retro-looking game controllers. Kelly Guimont got one, and she took pictures to show us just cool it is.